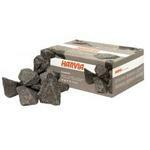 Harvia sauna stones are selected according to old traditions and convey a genuine sauna atmosphere. 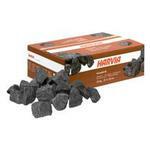 Harvia sauna stones provide good and soft heat. Split-face sauna stones are the only correct stones for electric heaters and woodburning stoves, because they can store lots of heat and the water evaporates efficiently from the wide surface of fracture. Angular split-face stones also allow for loose placement of the stones, which is the most important requirement particularly in electric heaters in order to make it possible for the heat to be conveyed to the sauna room between the hot stones and heating elements. Good air circulation in the stone space makes the electric heating elements last for as long as possible. 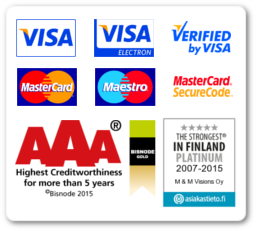 Light (ceramic), soft (soapstone), and smooth (rounded) sauna stones do not produce the desired results and they may cause problems in electric heaters in particular. Therefore, they must not be used. 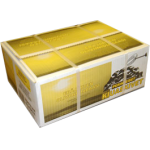 Harvia sauna stones are available in two sizes. Stones in the range of 50 to 100 mm are suitable for wall-mounted heaters with a low power output. 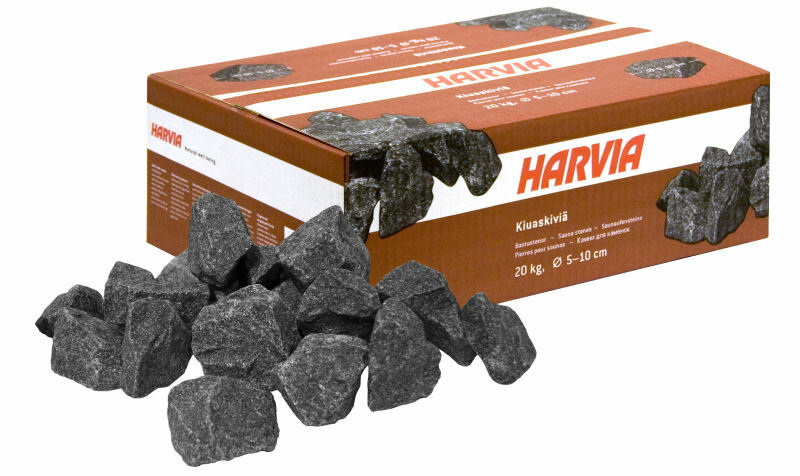 Larger sauna stones in the range of 100 to 150 mm are very well-suited for larger woodburning stoves and electric heaters such as Harvia Forte.